Besides being functional, windows are an essential part of your home’s appearance as seen from both the inside and the outside. 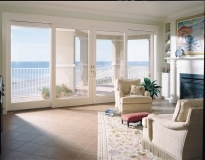 Woodhaven is proud to be an exclusive dealer and certified installer or Andersen windows and patio doors. Explore the many Andersen options available. Windows not only let in light, they aid in energy efficiency, help define interior spaces and are a key component of a building’s overall architectural style. With so many types, materials, glass and color options available you can trust Woodhaven to help you select the right windows for your specific project. Visit our modern and extensive showrooms in Lakewood, Point Pleasant Beach or Manahawkin and explore the latest Andersen window displays. These displays are sure to provide you with many design ideas for your own installation. 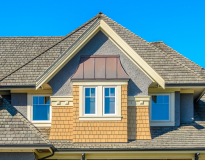 Of course, a Woodhaven window specialist will gladly help you sort through the many window options, as well as prepare a general cost estimate. All products are backed by the full manufacturer’s warranty.